Learn to secure your networking and mobility deployments with this three-day course that covers Citrix ADC, Citrix Endpoint Management and Citrix Content Collaboration. You'll explore networking security fundamentals and learn about various network attacks, such as SSL exploits and how to protect your network against them. Understand how authentication, authorization, and auditing plays a role in both your networking and mobility environment, and how to augment security with multi-factor authentication. 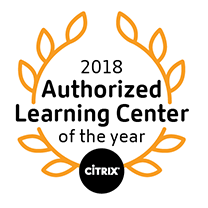 Take a look at certificates, policies, and the many management options for your deployments to lockdown your data with Citrix Web App Firewall, and Secure Citrix Endpoint Management applications, and Citrix Content Collaboration. This course is built for IT Professionals working with previous Citrix ADC, Endpoint Management, and Content Collaboration (formerly known as Citrix NetScaler, XenMobile, and ShareFile)Potential students include administrators, engineers, and architects interested in learning how to secure a NetScaler, XenMobile, or ShareFile deployment. At this time there is no associated certification with this course.